All girls participating in the NGS Skills Development Program should wear a skills shirt to all sessions. Players may wear any color soccer shorts, socks, and shin guards; these items can be purchased on your own from any retailer. Order skills shirt via the NGS Online Store. Jerseys cost $18/19 plus shipping and are available in sizes Youth Small – Adult XLarge. Your order will be shipped directly to you from our vendor and generally within 10-12 days. However, we recommend that you place your order when you register for the program. Because these are custom orders, no returns or refunds are accepted. We suggest that you confirm the size before placing an order. Sample sizes are available to try on at Lapels Dry Cleaners located at 319 Walnut Street in Newtonville (617-527-6700). You only need to order a shirt if your daughter doesn’t have one, if her current skills jersey no longer fits, or if you want a new one. 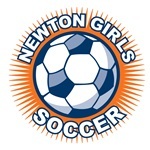 If you have any questions about the ordering process please email the registrar at registrar (at) newtongirlssoccer.org. Any questions about the product or your order should be directed to num1source (at) aol.com.